These don't really need any words at all. You really need to go the the Saks website and take a look at the full 360 degree view to really appreciate them. 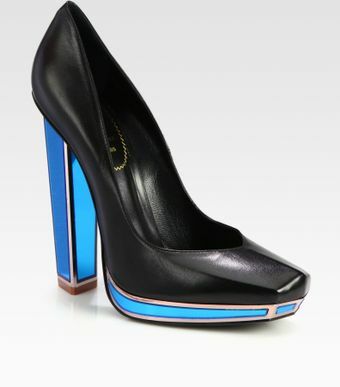 They have actually left me almost speechless, such a stunning pair of shoes from the Fall 2012 runway collection. They also come in a gorgeous gold metallic so take a look at that one too - probably one of my contenders for shoes of the year!